During business hours, Manuel D'Andrea is a costume designer, crafting exquisite outfits for the screen and stage. In his spare time, though, he channels that expertise into his own cosplay, and it's some of the best on the planet. We looked at one of Manuel's shoots recently, but his body of work is so impressive it deserves its own feature. In addition to creating his own costumes, Manuel is also a master props builder. 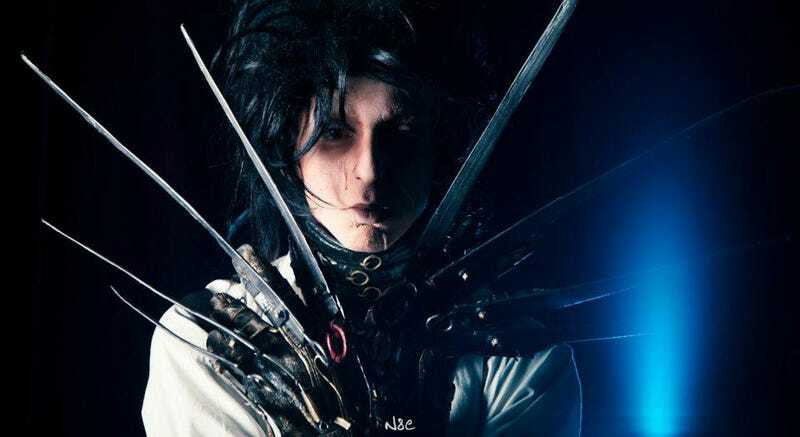 Check out the detail on this Edward Scissorhands piece for reference. You can see more of Manuel's work at his Facebook and DeviantArt pages.